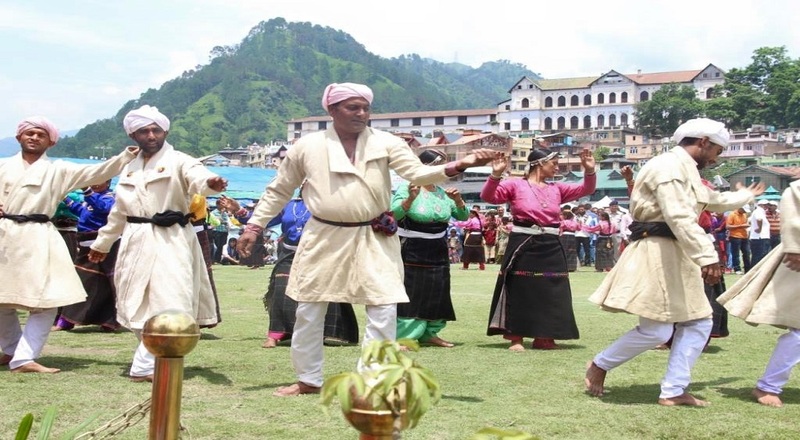 Minjar is the most popular fair of Chamba which is attended by a large number of people from all over the country. This mela is held on the second Sunday of the Shravana month. The fair is announced by distribution of Minjar which is a silk tassel worn on some parts of the dress by men and women alike. This tassel symbolises the shoots of paddy and maize which make their appearance around this time of the year. 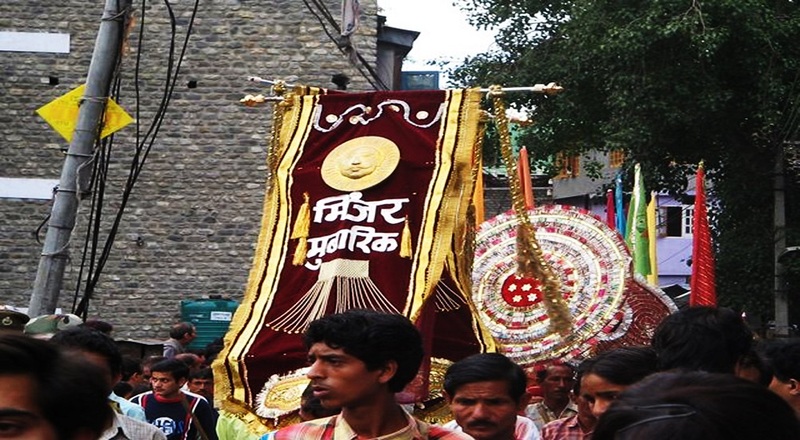 The week long fair begins when the Minjar flag is hoisted in historical Chowgan. 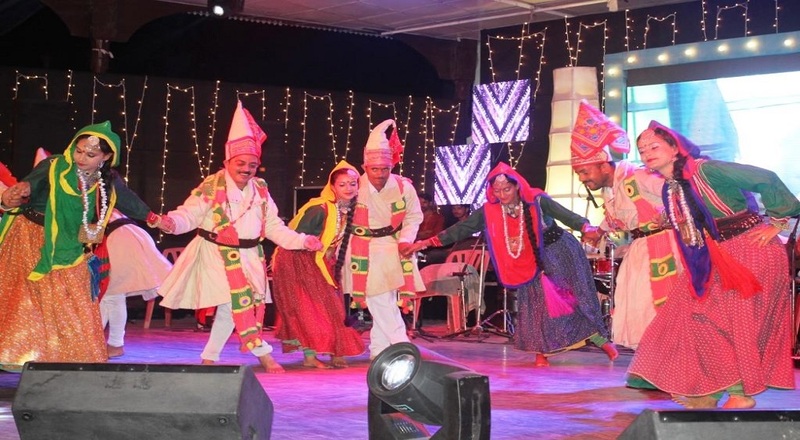 The town of Chamba wears a colourful look with every person turning out in best attire. 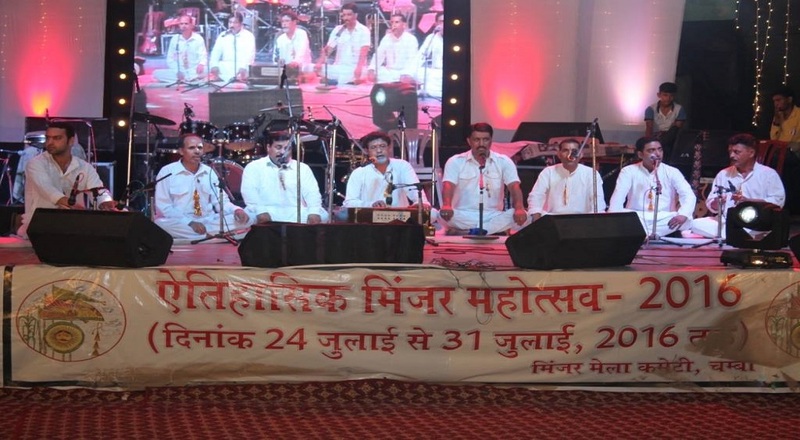 Sports and cultural programmes are organised. 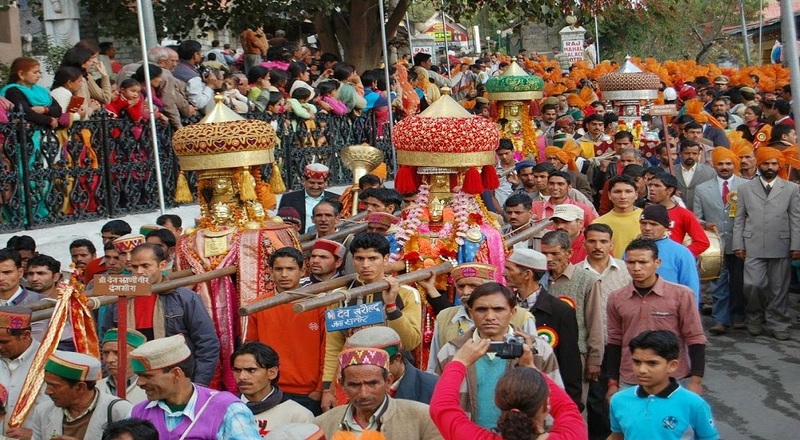 On the third Sunday the gaiety, colorfulness and enthusiasm reaches its crescendo when the colourful Minjar procession of the deities accompanied by dancing troupes, traditionally attired locals, traditional drum beaters along with Police and Home Guards band, begins its march from Akhand Chandi Palace for the venue near the Police Lines Nalhora. A great concourse of people is already assembled there. Earlier the Raja and now the chief guest throws a coconut, a rupee, a seasonal fruit and a Minjar tied in a red piece of cloth – Lohan – as offering to the river. This is followed by all the people throwing their Minjars into the river. 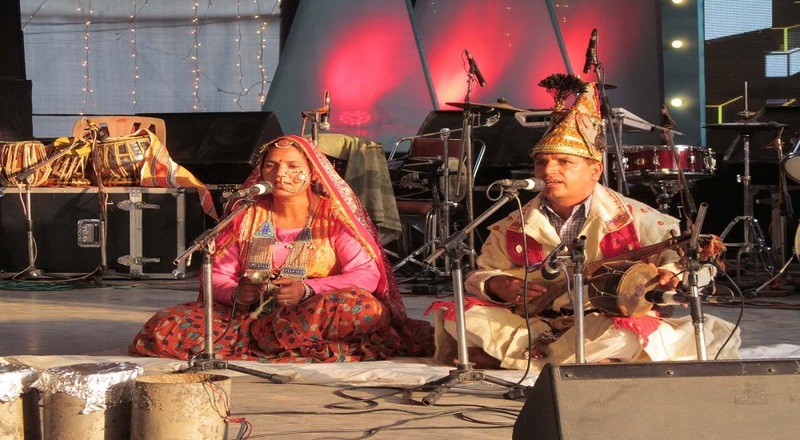 Traditional Kumjari-Malhar is sung by the local artists. Betal leaves and ittra are offered to everyone among the invitees as a gesture of respect and festivity. Untill 1943, a live buffalo used to be pushed into the river to propitiate it. It if was carried away and drowned, the event was regarded as propitious, the sacrifice having been accepted. If it crossed the river and reached the other bank, that also was auspicious as it was believed that all the sins of the town were transferred to the other side of the river.